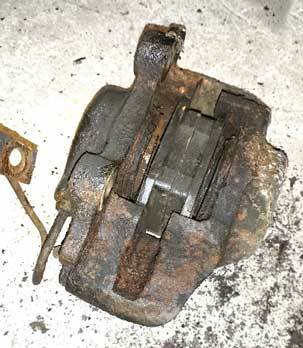 The front brake calipers (surprisingly Girling 16P rather than the later 16PB) were in a pretty sorry state (see below) and were sent to BiggRed in Worcester for refurbishment. This company was chosen because they are used by the Car SOS team at Fuzz Townshend's garage, Westgate Classics. I decided not to buy the widely available brand new calipers which are made in China, as I have heard stories about their quality, preferring to keep to the original. 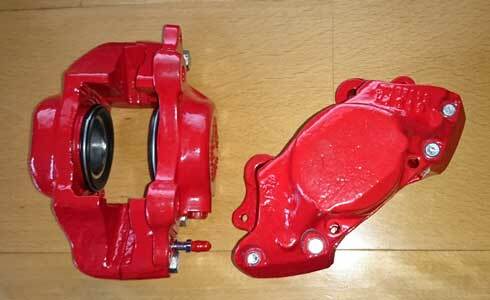 Below are the refurbished brake calipers as received from BiggRed. Their process is to completely disassemble, shotblast, apply polymer coating, oven cure, tap all threads, and rebuild with new bore seals and pistons. The final step Bigg Red conducts is a full pressure test up to 400psi to ensure the caliper is ready to be fitted straight to the car with no problems. 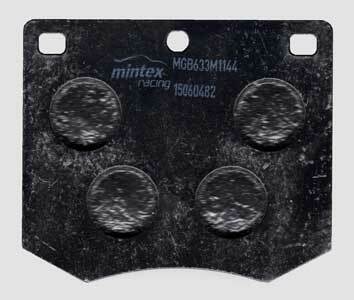 New "performance" Mintex M1144 disc brake pads were fitted (see above). The holes had to be drilled out to 1/4" to take the larger pad pins. 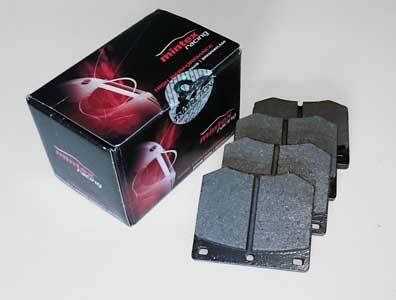 These pads have a friction coefficient of just over 0.4 and are designed to work well from cold. 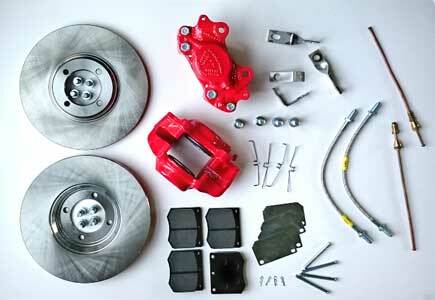 Compared to standard brake pads they offer increased fade resistance and better brake modulation. They are also larger than standard, offering a greater contact area. All the front brake components can be seen below, prior to fitting. Apart from the refurbished calipers they include new disks, pads, shims, pins,stainless steel brackets, bolts, Earl aviation quality flexible braided stainless steel and copper brake pipes.